"Come Nerevar. Friend or traitor, come. Come and look upon the Heart, and Akulakhan. And bring Wraithguard... I have need of it. Come to the Heart Chamber. I wait for you there, where we last met, countless ages ago. Come to me, through fire and war. I welcome you. Welcome, Moon-and-Star. I have prepared a place for you. Come. Bring Wraithguard to the Heart Chamber. Together let us free the cursed false gods. Welcome, Nerevar. 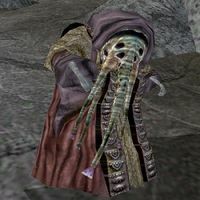 Together we shall speak for the Law and the Land, and shall drive the mongrel dogs of the Empire from Morrowind. Is this how you honor the Sixth House, and the tribe unmourned? Come to me openly, and not by stealth." Here I am. Dagoth Ur, Mad God. This user is a fan of Stoner Rock music, especially SOiL. This user is actively attempting to avoid learning anything about Shivering Isles. This user is a fan of Stoner Rock music, especially Clutch. This user is a fan of Doom Metal music, especially High on Fire. This user is in House Dagoth. This user is an Executioner in the Dark Brotherhood. This User should've stayed with Mehrunes Dagon. This User likes to a dagoth stuff. Although disassociated from Rev W Awdry's Chosen, I am still in the faction. 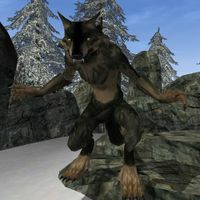 Lebber Valen as a werewolf.